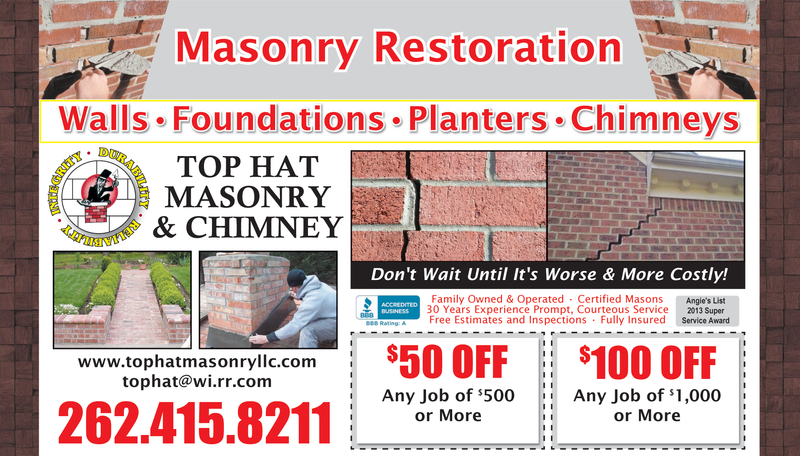 Top•Hat Masonry & Chimney, LLC is a full service building repair & restoration company. We offer free estimates, inspections and advice. We have an A+ rating as a BBB member, as well as being Angie’s List recommended. 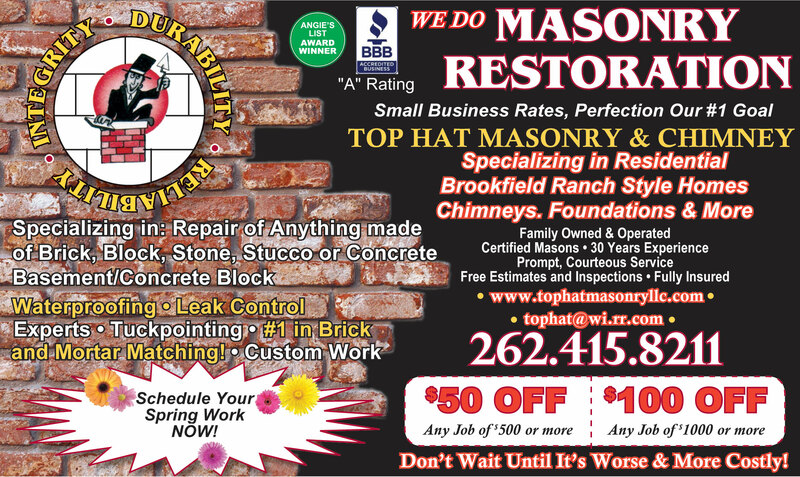 Artison masons who love their work and take great pride in every project. The owner of this family business is personally involved with every job no matter the size! Top•Hat Masonry rebuilt my Lannonstone planter box adjacent to my home.The color of the new mortar between stone matches perfectly with house.The owner actually brought flowers and planted them @ no charge.What a nice touch.We have and will continue to recommend Top•Hat to others!